Mozilla has rolled out a new mobile browser for iOS, Firefox Focus, that blocks third-party trackers, increasing privacy and possibly speeding up page-loading times. "We live in an age where too many users have lost trust and lack meaningful controls over their digital lives," wrote Mozilla's Nick Nguyen in a blog posting. "For some users, it seems as though your web activities can follow you everywhere – across devices, across accounts." Nguyen said that's where Firefox Focus comes in. "For the times when you don’t want to leave a record on your phone. You may be looking for information that in certain situations is sensitive – searches for engagement rings, flights to Las Vegas or expensive cigars, for example. And sometimes you just want a super simple, super fast Web experience – no tabs, no menus, no pop-ups." 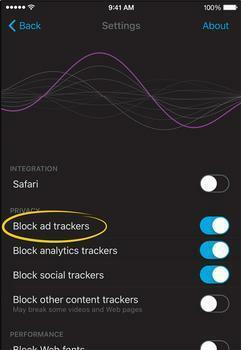 While the new browser, available in the App Store, is only for Apple iOS devices, Mozilla Firefox browser allows users to block third-party ads and prevent tracking by choosing the "private browsing" option. A few years ago, Mozilla had said it would introduce a version of Firefox for desktop and laptop users that would block tracking by default, but the non-profit organization backed down in the face of strong protests by the advertising industry.